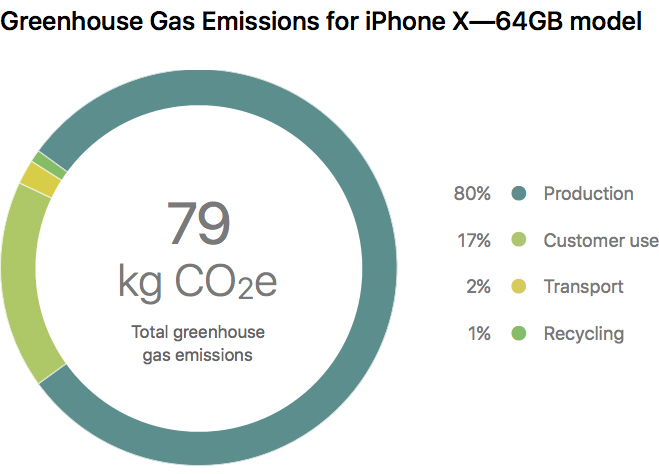 Apple today shared an iPhone X environmental report, detailing the smartphone's environmental performance as it relates to climate change, energy efficiency, material efficiency, and restricted substances. 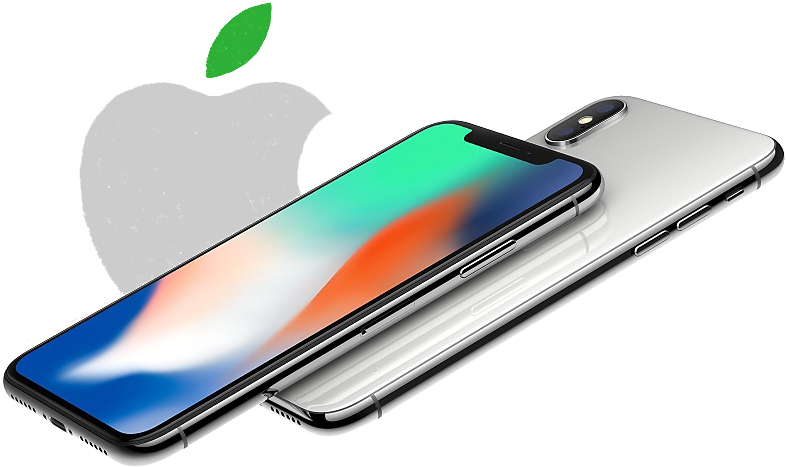 The report reveals that the base model iPhone X generates an equivalent of 79 kilograms of carbon dioxide over its life cycle, which is the highest estimated greenhouse gas emissions of any Apple smartphone since the iPhone 6 and iPhone 6 Plus. 80 percent of the emissions come from production of the device. Apple said the iPhone X's U.S. retail packaging contains 55 percent recycled content. 100 percent of the fiber in the device's box is sourced either from recycled content, bamboo, waste sugarcane, or responsibly managed forests. Like other models, the iPhone X has a mercury-free display made with arsenic-free glass, and it's also free of BFR, PVC, and beryllium. iPhone X received a highest-possible gold rating from EPEAT, a program that ranks mobile phones based on environmental attributes in accordance with UL 110. All models since the iPhone SE have also achieved gold ratings. I'll never understand this mode of thinking. How is owning an older generation of a smartphone embarrassing? Is the device no longer functional? How does this compare to Samsung Note 8 ... or to a car per mile? Context lends importance. It's embarrassing that it was so poor in relation to the pollution it created in production. As that is what this article is about, I thought it would be self-explanatory, but obviously not! What about MSG? Any gluten? Nut free factory? My iPhone in my pocket is killing polar bears. But then every polar bear killed is less polar bear farts. So maybe I'm carbon neutral? I do believe that iPhone X is way better for the environment compared to any phone sold in the history of mankind. Because fewer people will buy this, thefore the impact is minimal. Thank you, Apple! Sarcasm. Funny. iPhone is and has been the sellingest model of mobile phone for many years. So, X could sell ‘fewer’ and still sell more than any Samsung model, for example. Yet another thing that makes me glad I went with the 8 plus over the X! Fair enough and I apologize for misunderstanding your context as I had not read your earlier response.